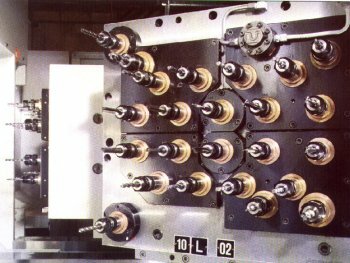 The Department of Physics, at the University of Agriculture in Nitra, Slovak Republic used LUSAS Analyst together with Holographic Interferometry (HI) techniques to predict deformations caused by assembling engine crankcases and cylinder heads. As part of project LINDA (Laser Interferometry and Numerical Deformation Analysis) displacements of parts of the engine that can be measured by laser are compared with calculated values from LUSAS. From these results, the boundary conditions for the engine model, i.e. 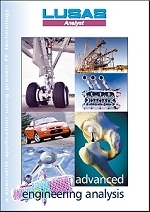 supports, loading, contact criteria etc. can be modified to more closely model the real behaviour of the engine. Once the model has been fine-tuned in this way, very accurate displacement values can be obtained for internal non-measurable parts of the engine. Two tractor engines, of four and six cylinders each were modelled and measured to determine deformations during assembly. 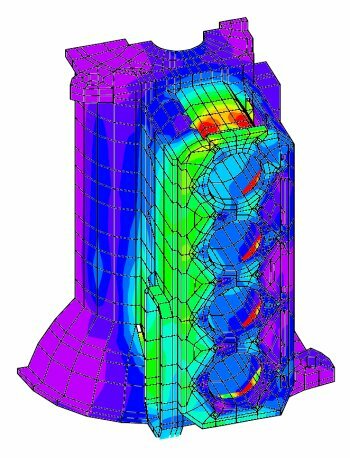 Nonlinear static contact analyses using slidelines were done on both engines to investigate the effect of bolt loads on the cast iron crankcase and special cast iron cylinder liners. Two different modelling approaches were investigated. The 6-cylinder engine was modelled using 14000 thick shell elements. The 4-cylinder engine was solved using 5600 hexahedral solid elements. 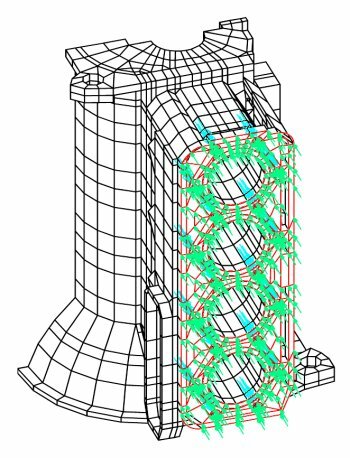 Good correlation was achieved between test and model results, satisfying the design requirements. These results will be used to help improve the engine design. LUSAS Analyst was chosen by The University of Nitra for this analysis project in preference to other systems because it offered the best price/performance ratio, has no limit on model size and can be easily used by graduate and post-graduate students involved in the project.